The New College Classics Society very much looks forward to welcoming New College Old Members to a dinner at New College on Saturday 2 February 2019 to launch the New College Classics Society, a student led initiative which aims to strengthen the community of classicists past and present. The guest speaker for the evening will be Professor Denis Feeney. Denis was a Fellow & Tutor in Classics at New College from 1996 - 2000 and is currently Giger Professor of Latin at Princeton. The Society aims to put on a series of event over the year, all of which will be open to Old Members. The Society's annual dinner will be open to New College Classics undergraduates, graduate students, fellows, and Old Members, bringing together the whole Classics community. 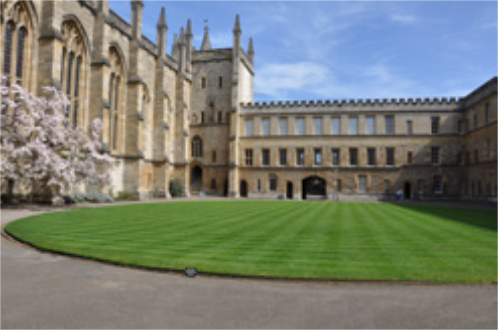 Trinity Term will see an annual student production in the Cloisters, maintaining the tradition of Greek plays at New College, but with the aim of bringing classical drama to a wide audience through a comedy. The play will be performed over three nights and the Saturday performance will be complemented by a drinks reception and pre-show talk for Old Members. The Society will host a world-leading academic to discuss their most recent work. Again, this will be open to all New College students, fellows, and Old Members. contribute to the costs of the Classics reading parties which take place on the Greek island of Evia over the long vacation. The above event booking form also has a section where you can make a gift should you wish.